The first day of March. I love this time of year, it is when Winter turns to Spring, NCAA Men’s and Women’s Basketball Tournament, NFL free agency kicks off and yes, the glory of Saint Patrick’s Day. Oh, come on you saw that coming. Also, the unofficial beginning of the Packers 2019 offseason. Rumors become reality and fans furiously watch their phones to whom who is going to be cut and will be signed. The honeymoon period for new head coach Matt LaFleur ends and what will the mysteriously aggressive general manager Brian Gutekunst do next in year two? Gutekunst is right about one thing. 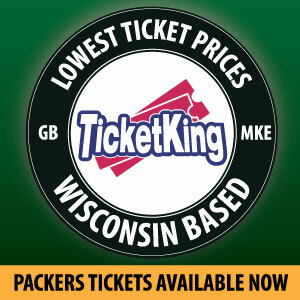 Green Bay is a small market, population 105,116 and sometimes it feels like pulling teeth to bringing in free agents. 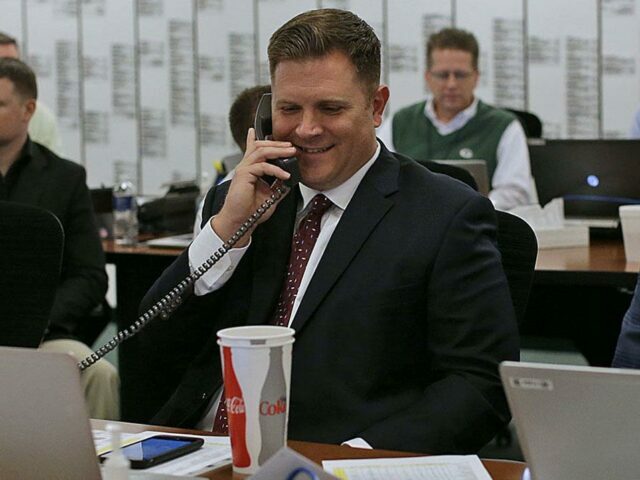 Remind yourself that even though Gutekunst was “aggressive” in that aspect of the offseason, it is not like when Ron Wolf brought in Reggie White in 1992. We thought Jimmy Graham was going to be a bullseye (3-yr/30 mil) but after that it was a one-year deal for Muhammad Wilkerson, offensive lineman Byron Bell, Bashaud Breeland, etc. Make no mistake, I am already used to these kind of signings. Speaking about signings, I still do not understand why certain Packers writers and fans want Antonio Brown. It is not going to happen, folks. I know on the field he would be a game changer, his numbers never lie. It is off the field that is a concern and if you do not believe me. Go to Brown’s Twitter page, he is burning the Three Sisters bridges to Pittsburgh. Seriously, it is like that ominous scene in the Dark Knight Rises when Bane (Tom Hardy) blows up pieces of the same bridges. I have been in close contact with my co-host Mark Eckel on the Pack-A-Day podcast and we are about to bring about his top ten free agents. Brown is nowhere to be found on the list. What about the coaches? Since Mike McCarthy was fired, they hired LaFleur who has a excellent resume and worked with Rams head coach Sean McVay. Luke Getsy is back in Green Bay but will work closely with Aaron Rodgers, they cleaned out the linebackers side by bringing in Kirk Oliviadotti (from Washington) and Mike Smith (from Kansas City), a new special teams coach in Shawn Mennenga plus a new strength and conditioning coach in Chris Gizzi. I know fans are saddened that they could be saying farewell to wideout Randall Cobb, but his cap hit last year was nearly 13 million and with the stardom of Davante Adams and the emergence of Marquez Valdes-Scantling and flashes with Equanimous St. Brown. As they did with cutting Jordy Nelson in 2018, Cobb’s time in Green Bay was coming to an end. Do not be surprised if they shop for receivers as well. Andy Herman of Cheesehead TV had special guest Lily Zhao on Pack A Day discussing this position. Zhao said that “Green Bay has to bring a lot of receivers in here to tryout because Rodgers is a scrambler.” Which means you have to bring in the right people that can deal with Rodgers and his gameplay. There is also the interest about the tight end position with Jimmy Graham and Evan Baylis (played ball at Oregon). Yeah, there is two tight ends on the depth chart. Two. Which also could mean that the Packers will draft a tight end in the first round and wait it out to grabbing a “diamond in the rough” in the later rounds. It is just the beginning, the “seeds of change” are planted in Green Bay and it will be a offseason that we have not seen as Packers fans since Ted Thompson was hired. Okay, I’m sounding like a politician now. This entry was posted in Jake Turner, Packers 2018-2019 Season and tagged 2019 offseason, Brian Gutekunst, change, Free Agency, Green Bay Packers, Matt LaFleur, opinion, Pack A Day, Randall Cobb. Bookmark the permalink.